Sugar cane harvest. 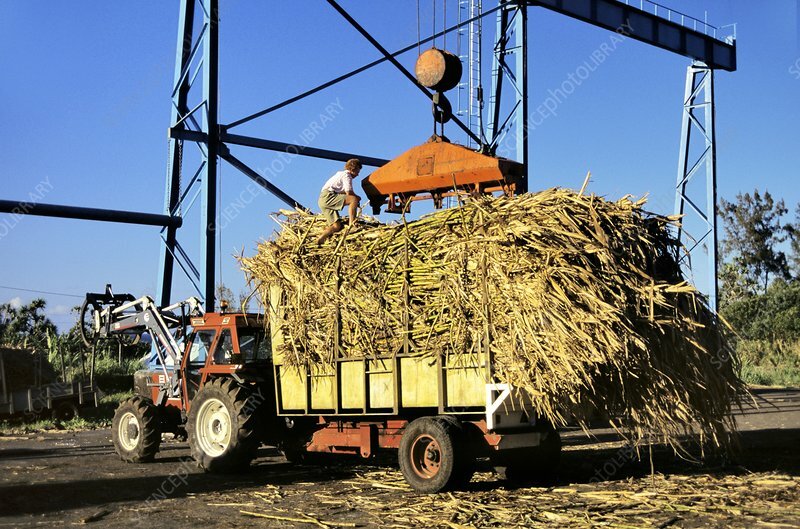 Harvested sugar cane being loaded onto a trailer. Photographed on Reunion Island.